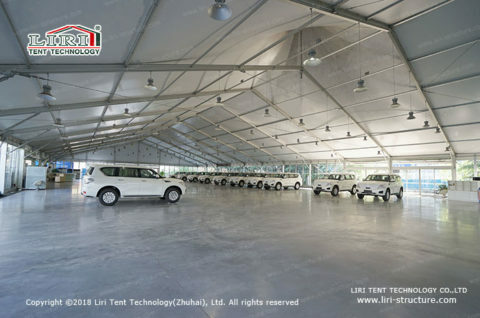 Have you ever heard of or seen temporary vehicle workshops tents? 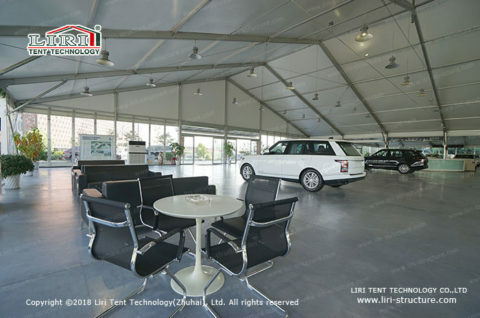 Below we would like to take this opportunity to introduce temporary vehicle workshop tents. 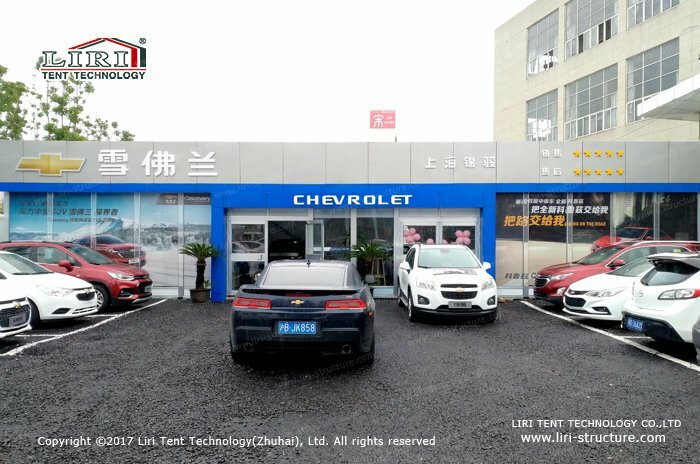 When it comes to auto shop, the first thing comes to our mind would be surely a traditional building of different brands of automobiles. 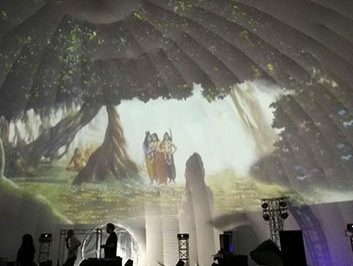 But, along with the development of the times, the old technology is gradually replaced by a more mature and advanced technology. 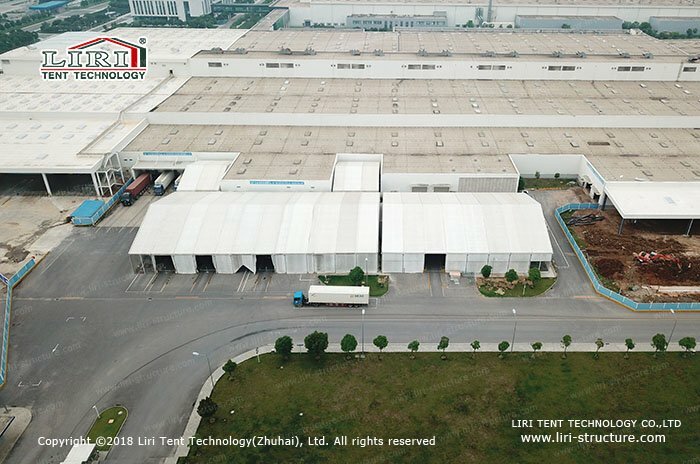 Every industry should keep up with the pace of development of the times. 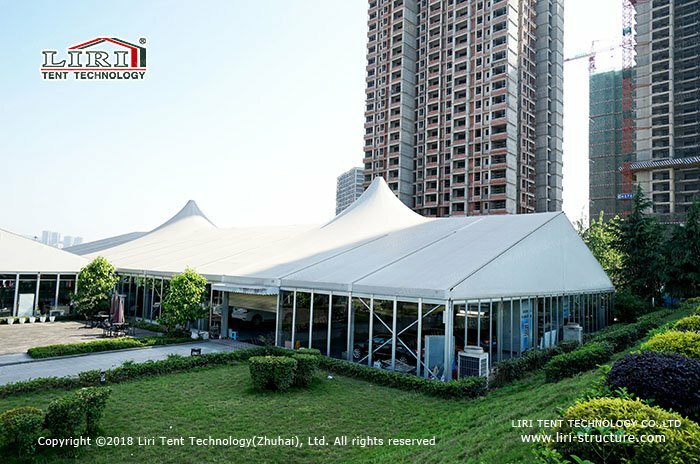 So does Liri Tent. Based on the traditional permanent building of auto shops. 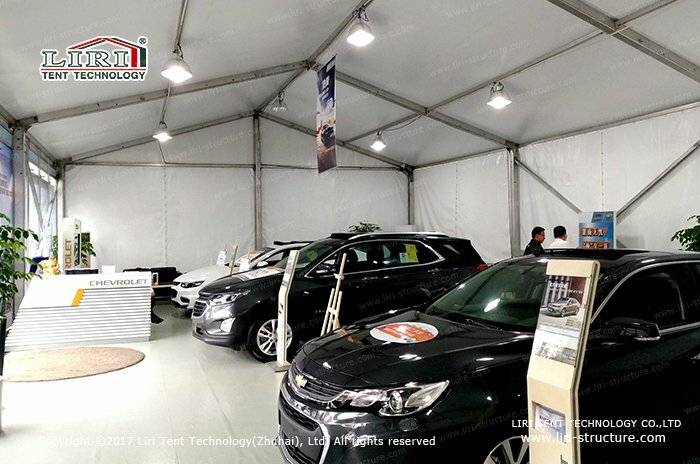 Temporary vehicle workshops tent is a flexible design, which is movable and expandable in any situations. 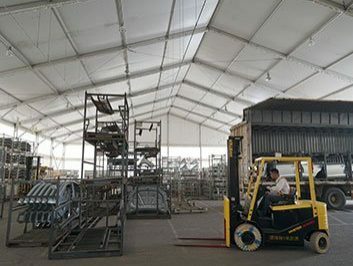 Besides, it is easy to be assembled and dismantled which saves a lot of building time. Moreover, to realize manufacturing an environmentally friendly tent product, we concern on every small detail. 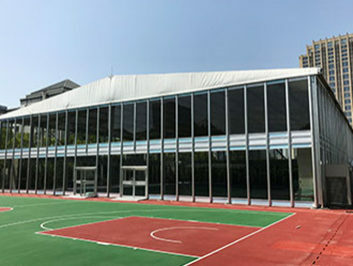 The frames structures and the connecting parts we adopt are the best quality aluminum raw materials which are of good appearance, strong and stable, will never get rusted. 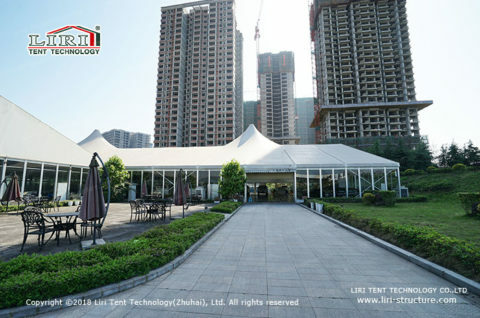 It is an ideal raw material for both temporary and permanent constructions. 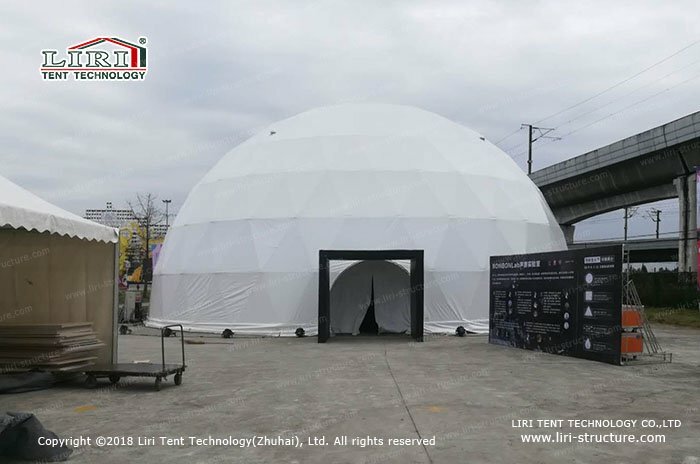 For the out looking of Liri temporary vehicle workshops tent series, it is available in different styles, such as the popular frame tent, high peak tent, two-story tent, and etc, Also, customized designs are available in Liri Tent. No matter what kind of outlook of Liri temporary vehicle workshops tent is, our basic design is clear span tent design, that means there are no poles inside the tent. 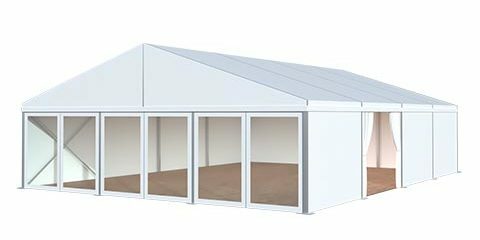 It ensures the space inside the tent could be 100% used. Also, with good ventilation design, Liri temporary vehicle workshops tent serves as a perfect venue for car repair and maintenance. 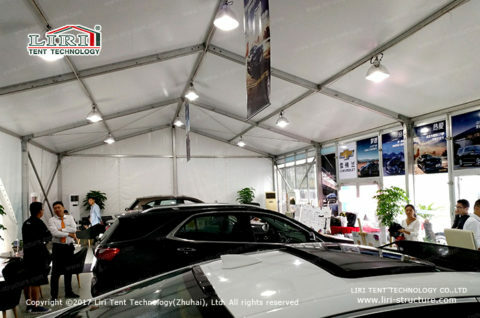 Regarding to the walling for vehicle workshops tents, all-glass design is available. 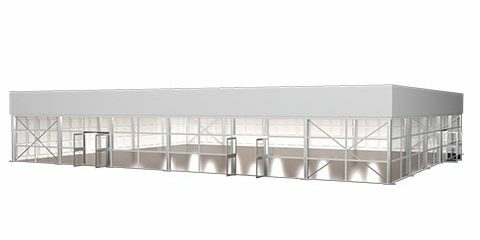 This design allows more daylight getting into the tent building while realizing a better air circulation. 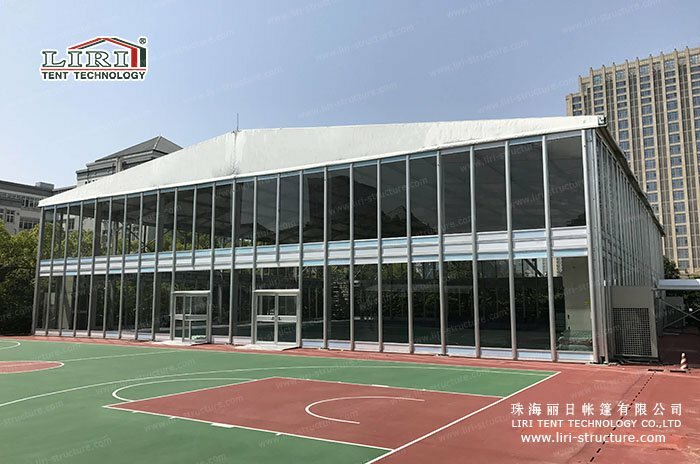 Besides, to make the tent building good enough for any high-end events, a lot of optional accessories for interior decoration are available in Liri Tent, including flooring system, roof lining, sidewall curtains, and so on. 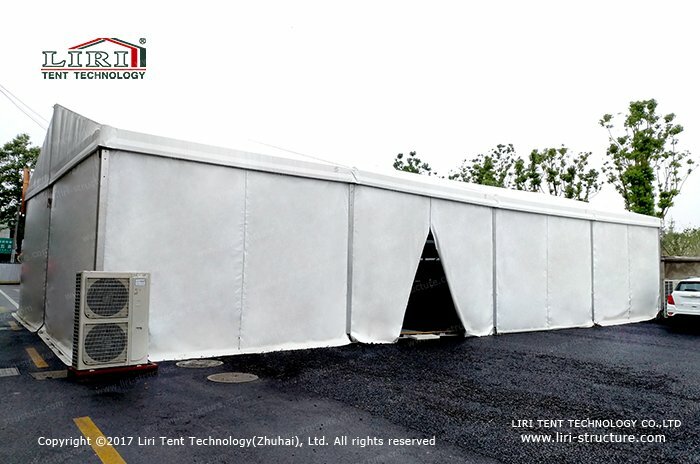 Also, Liri Tent could offer a customized branding on the tent structures upon clients’ specific requirements. Liri Tent always devotes to improving the tent design to meet the various requirements from different clients.